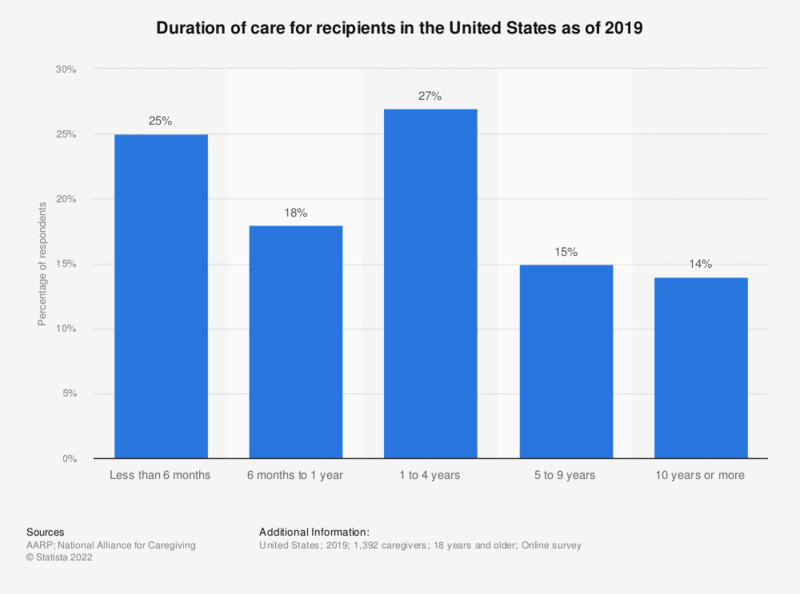 This survey represents the duration for care of care recipients in the United States as of 2014. As of that year, 30 percent of caregivers reported that they had been acting as carers for their care recipient for less than six months. Original question: "How long have you been providing/did you provide care to your [relation]?"